One of the coolest features of the iPhone 5s is its Touch ID fingerprint sensor. It can be used as an intuitive and easy to use replacement for your lock screen PIN or iTunes password. Third party iOS app, however, can't take advantage of the sensor, which is a bit of a bummer. Well, this all changes with iOS 8. 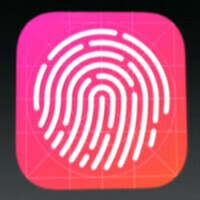 Apple's iOS 8 lets third-party applications read fingerprint data via Touch ID. This would allow fingerprint-based login to be implemented into apps as an alternative the standard username and password. We have a feeling that developers of iOS apps requiring payment authorizations will be interested in the feature. Safety shouldn't be a concern as the user's fingerprint data will be stored safely inside the device's chip. Feel free to check out the rest of our coverage on iOS 8 and its new features. Samsung's implementation of finger print scanner is already 3rd party accessible. You can make a payment through paypal with finger print authentication. This is the only good thing they said in the last half of that keynote. This should have been done from day one but better late than never. There will probably be 20 different security flaws brought by this but have to live with that, don't they. What security flaws? Touch ID has had excellent security. No one knows what kind of security Touch ID has. This is not the same as "excellent security". Look up secure enclave, moron. Because some superficial rubbish from Apple/ARM is meaningful how? If no one knows, how can one break their security?! It will essentially now be able to say yes or no to 3rd party apps, but how will that work. Will the password to those app/sites be stored locally and input by the system upon yes/no from touch id, or will the app itself react to the touch id yes/no? If the former solution is used, than those passwords are all up for grabs since they are saved on the system. If the latter is used, then anyone sharing a tablet or phone (with touch id) can access your information if their finger print can also be used for authentication (multiple prints and all). If that is the case, then you would have to put names to those prints and have the system remember it so it doesn't let one person access another person's accounts, but that's just a complicated mess for security. Well said. Any system that uses a non-changeable biometric marker for "security" is not really about "security". My guess would be passwords have to be pre-stored in iCloud keychain or some password bank and upon authentication for passwords, TouchID will authenticate for the owner of the phone. If successful, passwords will be pulled from iCloud keychain or some password bank and it will be filled into the password box. Third party apps will hence only be allowed to use TouchID for authentication but not have access to the fingerprint itself. I wonder how long it will be before Apple has a Snowden event and all the lies they've told about iPhone security and protecting privacy are exposed. They haven't fired the right guy yet. Could happen. lmao. whatever Samsung does, apple follows. Freakin Dinosaurs. According to Apple, it called "innovation" hahaha, btw finally we agree at something. lol. we all here hate apple, because of the way it tricks people and copies everything. I love it when we haters unite. So how can we use this Touch ID fingerprint as developers if it will be "stored safely inside the device's chip" and could we use it for simple things, not payment or passwords.. I think it won't be easy for developers, so we should wait until apple publish the details ..